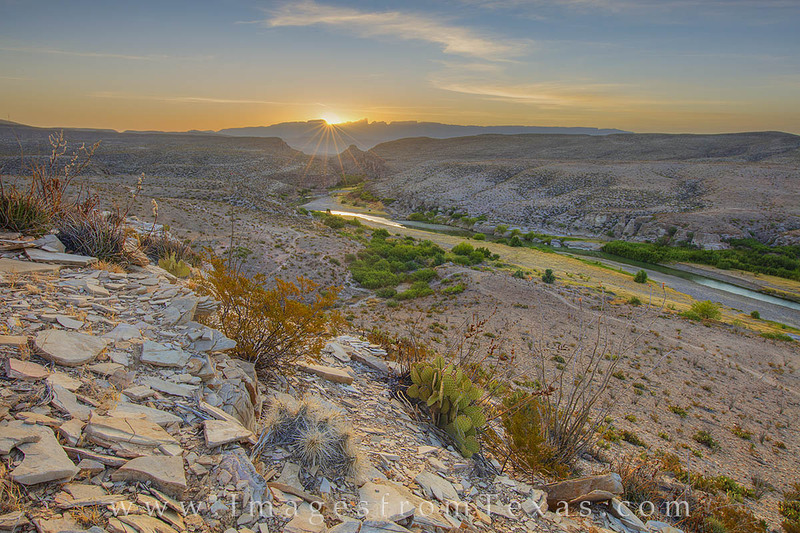 From the eastern side of the Chisos Mountains in Big Bend National Park, the Rio Grande flows east into Hot Springs Canyon of Big Bend National Park. This sunrise photo was captured from a little ridge along the river and shows prickly pear and other forms of desert vegetation. Photo © copyright by Rob Greebon.